Let’s examine some of the current advice about colds. 1. Wash hands and everything in sight—frequently. I am sure this myth will die hard because we literally have been turned into germophobes by well-meaning health advisers. The best thing about this one is that you can’t go wrong, unless you suffer from chapped hands or get reprimanded for hogging the soap and facilities. But the fact is that this is not a necessary ritual for avoiding colds. Will the beneficial bacteria please step forward? 2. Take medicine—antihistamines, decongestants, non-steroidal anti-inflammatory drugs, and then the inevitable antibiotics if nothing else works. But too many medications cause liver damage and can make us feel worse, not better. To my knowledge, none of them have ever cured a cold. The side effects of antihistamines include dry mouth, nausea, drowsiness, difficult urination and even blurred vision. The adverse effects of NSAIDs can include gastrointestinal problems. Antibiotics are creating super bugs, not to mention killing off the beneficial bacteria that support 70% or more of our immune system. 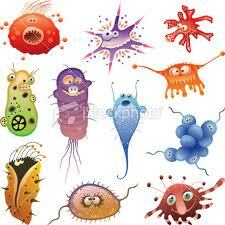 We would be better served by concentrating on probiotics and fermented vegetables. 3. Vitamins cannot prevent colds. This is certainly true if you follow the government guidelines of 90 mg of vitamin C per day for a grown man. The average 150 pound animal which makes its own vitamin C, however, produces an average of 4,000 mg per day when well–and many times more than that if needed. Vitamin D3 presents a similar scenario, with small amounts being recommended by authorities. But taking 5,000 IU per day (one small softgel) can boost our immunity substantially. Getting adequate sunshine exposure is an alternative which should be considered, because almost everything we were taught about vitamin D in the past has been proven wrong. Vitamin D3 is now recognized as being the most common deficiency worldwide. See my Resources page for more information. 4. Treat colds with various hot drinks like a hot toddy, tea with lemon and honey, lemon juice with honey and cayenne, chicken broth, bone broth, etc. There are many healthy choices, some of which may be soothing or even boost immunity, but you won’t need any of these to stop a sore throat or congestion if you prevent them from developing in the first place. The same applies to breathing steam with a towel over your head or taking a hot shower just to breathe the vapor. 5. There is no cure for the common cold. This one is a little tricky, because it is true. But on the other hand, no cure is needed! This entry was posted in wellness and tagged antibiotics, beneficial bacteria, colds, common cold, germs, health, immune system, myths, vitamin C, vitamin D3 on February 14, 2013 by Carole Ramke.